Racism has been used for centuries to divide and conquer working people. Today, "systemic racism" is an institutionalized feature of society, throwing up barriers to racialized workers and families in every community. All of our institutions and cultural norms are touched by its impact. Conceptual image with pencils on vintage background to stop discrimination. Six handcrafted wooden pencils arranged in a circle and the word Discrimination with red line in the middle. Two years ago I wrote an article condemning Stephen Harper's attempt to stir up anti-Muslim sentiment for political advantage. Harper has since been defeated, but the election of Donald Trump and the murders in the Quebec mosque show that bigotry is becoming a more potent force in our society. Unfortunately, the politics of division and right-wing populism has led to a dramatic increase in incidents of hatred aimed at Muslim Canadians. It's up to all of us to figure out how we step up and respond, but those who hold political office or are recognized as leaders in business, labour or civil society have a special responsibility to challenge racism and discrimination. I remember clearly how Dominic D'Alessandro, CEO of Manulife, took up the issue at the founding meeting of the Toronto Region Immigration Employment Council in early 2002. He spoke passionately about rejecting the xenophobia that was sweeping across the United States after the tragedy of 9/11. While he talked about his experience in an immigrant family, he also referred to the backlash against Muslims. I wish other corporate executives were as courageous in speaking out over the last two years. For Canadians to effectively tackle this issue, we need leaders with a clear understanding of the foundations of racism. Racism was institutionalized to justify the horrors of the trans-Atlantic slave trade, and then to affirm the brutal expansion of colonialism. Racism has been used for centuries to divide and conquer working people. Today, "systemic racism" is an institutionalized feature of society, throwing up barriers to racialized workers and families in every community. All of our institutions and cultural norms are touched by its impact. Bigotry is not something new. Despite our self-image as a tolerant people, prejudice and discrimination are a real feature of Canadian history, starting with treatment of Indigenous peoples, and continuing through the ensuing centuries. Today when we identify the need to fight Islamophobia, it is not because Muslim Canadians are the only victims of hate. Anti-Black racism pervades our society up to the present day. At different times visceral hatred has been aimed at all kinds of people - Irish Catholics, Eastern Europeans, Chinese, Jews, "DP's", Italians, South Asians, Africans and many others. But at this point in history Muslims have become a special target. Many of us would be more comfortable imagining that racism isn't a factor in our workplaces or communities. Very few Canadians want to own up to the prejudices we have grown up with, and talking about race can make even the most fair-minded person uneasy. Overcoming denial will be an important task for this work to succeed. The terrible murders of six men at prayer in Quebec reminds us that hateful ideas can lead to real consequences, as does the clear evidence outlined in the Truth and Reconciliation Commission's Report and the ongoing concern about fairness in the criminal justice system. Denial is no longer an option. In order to reach millions of Canadian families, there has to be a clear and simple narrative around why we want to be a welcoming, inclusive society. In 1952 the Toronto Labour Day Parade featured the demand for "A Fair Deal for All, regardless of Race, Religion or Ancestry", at a time when many businesses were still claiming their right to discriminate in who they hired, rented to, or served as customers. It took many years before Human Rights policies were adopted by governments and employers, and there are important initiatives to celebrate. Recently the City of Toronto partnered with OCASI to bring a powerful message about prejudice to the public eye, while the Society of Energy Professionals has launched a Charter of Inclusive Workplaces and Communities. Research shows that we receive thousands of messages per day from a wide variety of sources. That means that a message of tolerance and inclusion needs to be repeated many times over for it to connect with the public. To be successful, every leader in political office, civil society, business, labour and faith communities needs to commit to and develop an ongoing campaign within the constituencies they influence. In greater Toronto half of us were born outside of Canada, and half of us are people of colour. There is no way our future can be healthy if we are divided. 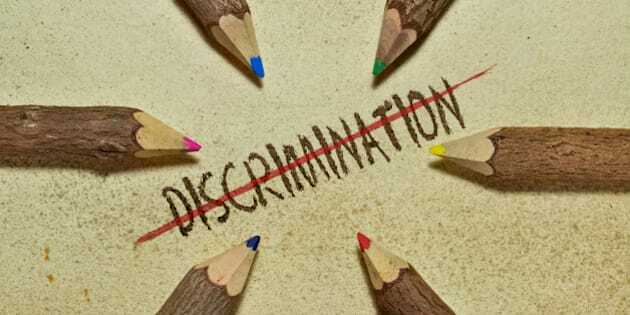 It won't be an easy task to talk about the difficult issues and systematically challenge discrimination. But as we commemorate the 150th anniversary of Confederation and recognize that people have been on this land for millennia, we must reach out to all our communities to win the battle against hatred and division. It can't wait until another tragedy hits the headlines.